Well, this was a very unexpected move by Google. Google Co-Founder Larry Page announced a restructuring of the whole company, revealing the creation of the umbrella "Alphabet" corporation. But, don’t worry… Google isn’t dead! Rather, Google will become part of Alphabet. Over time, Google, the Mountain View company has become a lot more than just a Search Engine. Google created and acquired a large number of other popular Internet services, including Android, YouTube and Gmail, that makes too much difficult for a single company to manage all of them effectively. According to Google Founders, it’s time, when different projects require different leaders, different company cultures, and different types of resources. "Our model is to have a strong CEO, who runs each business, with Sergey and me in service to them as needed," Page wrote. 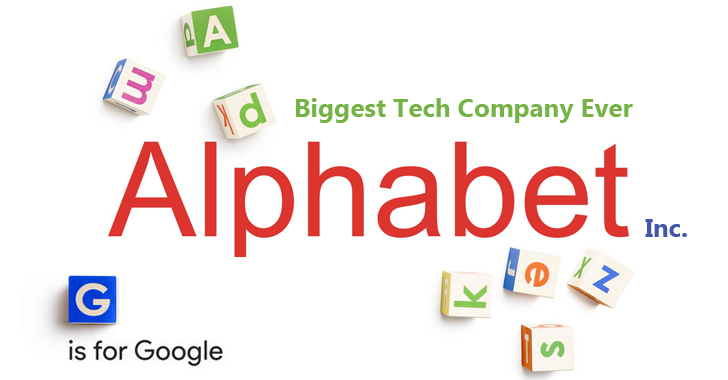 So the founders decided to create an all new parental brand that will manage both Google as well as its other far-flung projects — called ‘Alphabet’, going to be the biggest tech company most people have never heard of. R&D unit, such as Google X, developing Self-driving cars and Drones. Alphabet Inc. will replace Google Inc. as the publicly traded company on the Nasdaq Stock Exchange, and shareholders will get one Alphabet share for every Google share they previously owned. Google’s senior vice president Sundar Pichai (Pichai Sundararajan), currently senior vice president of products, will be the new CEO of the Search Engine. And the current CEO Larry Page will become Alphabet’s CEO. Co-founder Sergey Brin will be its president, and Eric Schmidt will be the executive chairman of Alphabet. "It is clear to us and our board that it is time for Sundar to be CEO of Google," Larry Page wrote in the open letter announcing the creation of Alphabet. "Google itself is also making all sorts of new products and I know Sundar will always be focused on innovation—continuing to stretch boundaries. I know he deeply cares that we can continue to make big strides on our core mission to organize the world's information." 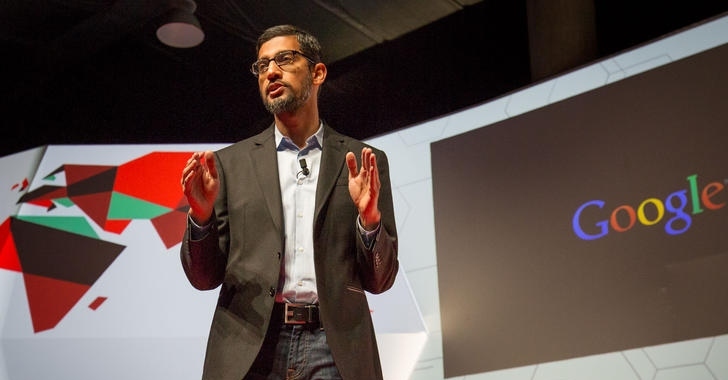 The 43-year-old Sundar Pichai rose quickly at Google, from working with the Chrome team to lead both the team as well as Android as senior vice president of Products. The Launch of Alphabet Inc. will not affect you at all, but Good news… the company’s shares jumped 6 percent after hours, adding tens of billions of dollars to its value.